Your RV, motorhome, travel trailer, fifth wheel, folding camper or toy hauler will always receive the best of care by our Master Craftsmen here at Crabtree RV Center. From roofs and appliances, to slide-outs and awnings, we are here to help you with all your service needs. 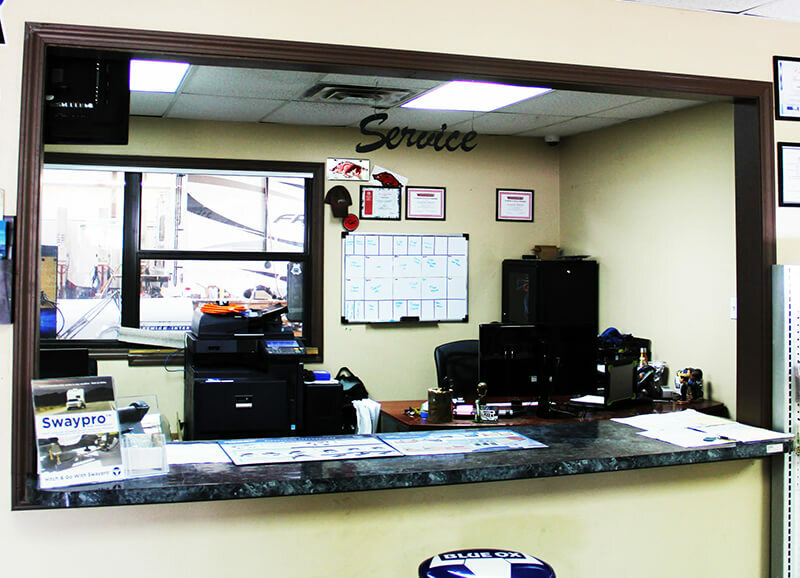 Our service department is staffed with highly trained technicians dedicated to making sure your motorhome, and trailer stay in great working order for years to come. Here at Crabtree RV Center we know that getting out on the road and enjoying our great country is your priority, and we will help keep you traveling in comfort and style. We have the equipment and experience to get your motorhome, and trailer in prime shape, and that means more road time for you. Give us a call and we'll get you in and out of the shop in an efficient and timely manner, so you can get back to experiencing the freedom that the RV lifestyle provides. Our RV Service Department is at it's own location on Collum Lane. Here we put your vehicles needs into our state of the art service center, with large indoor service bays, motorhome lifts, and so much more. We have a highly trained staff of professionals who have certifications in RVIA, KVH, BLUE OX, and more. With our Master RV Certified Technicians on site, your RV service and repair needs are always handled promptly. Crabtree RV Center is proud to provide quality service to the areas of Fort Smith, Mulberry, Charleston, and Van Buren. We can help you keep your Coachmen, Forest River, Grand Design, Keystone RV, and KZ RV vehicle in pristine condition! If you have any questions or concerns about your motorhome, and trailer, feel free to call us at (479) 632-0829 and we'll be happy to help you over the phone or assist you in making an appointment. Come talk to us about how to best maintain your investment and learn more about our available services!